The User Picker is the dropdown that appears when you edit the content of a User or List-User field on a form. It allows you to select or add a Quick Base user in a User field. List-User fields allow you to choose up to 20 users. Quick Base displays these search results under the More people heading in the User Picker. 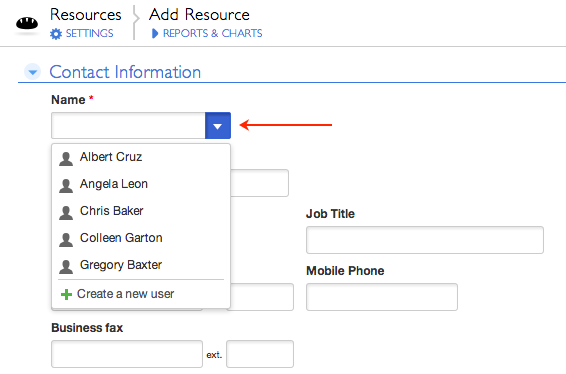 When you see the user you're looking for, select that user to populate the field. In a List-User field, you can search again to add other users to the field. If your search term matches someone in the set of users defined for the field, but that isn’t the person you’re looking for, you can click Find more people to explicitly search for matches from other parts of Quick Base. Or just change your search term. For example, maybe the person has a unique email address or user name that you can use in your search. Click App properties on the table settings page. Select the checkbox in the User Picker Options section. This limits the Find more people command to searching the set of people in your company's registered email domain(s) who are not already in the app. Note: This setting does not affect app admins, who can always see results from the app, company, and account/realm. Your role has Basic Access with Sharing or Full Administration permissions in the app. The field has been configured to allow users to create new choices. Click Create a new user in the User Picker. Fill in the details in the dialog that displays. Click Create User. 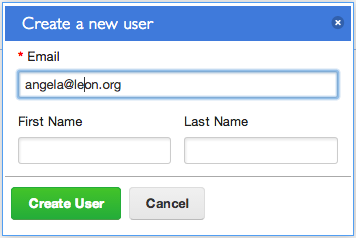 If the user is not already registered, Quick Base creates a provisional user account. The user is added to the set of users defined for the field. Note: Be careful when creating new users. If you enter information about someone who has never logged into Quick Base, make sure you type the email address correctly. A typo results in a lost invitation and a bogus user account. If you do happen to enter an incorrect email address, create another invitation using the correct email address. Even when you use the correct email address, there's a danger that others may mistake the bogus user for the real user (especially if they're very similar) and your user may miss invitations and alerts. If this confusion occurs, you must contact Quick Base support to resolve it. 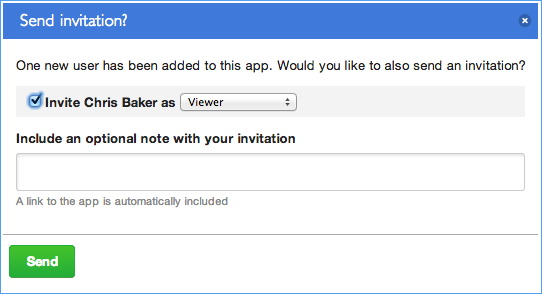 When a User or List-User field has been set to allow creating new choices (using the checkbox shown in the image), there is a field-level option that gives app admins control over whether an invitation is sent out when a new user is added in this way. If the app builder has chosen the don't invite them or give them a role option, then new users are added to the app in the None role. You are not given the option to invite the new user to the app. whether to customize the email sent to the invited users. If you choose not to send an invitation to a user shown in this dialog, they are added to the app in the default role (or the None role if there is no defined default role).